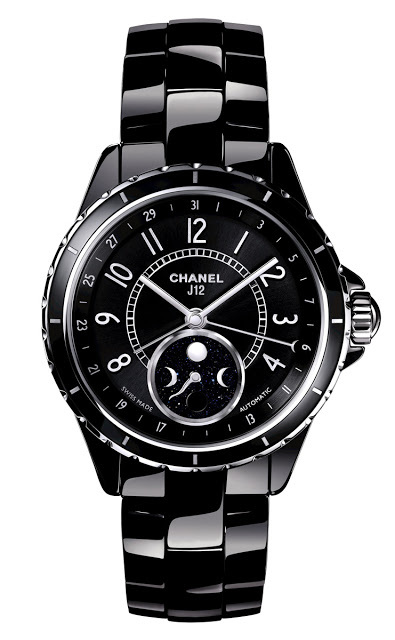 Chanel recently unveiled the newest addition to its brilliant successful line of ceramic watches, the J12 Moonphase, a wristwatch with a simple but charming complication. 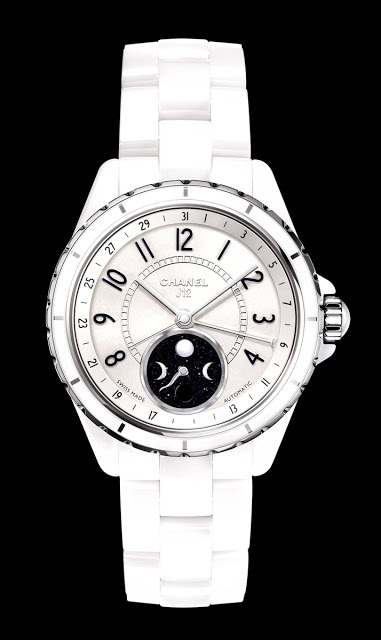 Though a moon phase is not a practical function (save for fishermen), it has a visual charm which is well suited for ladies’ timepieces. 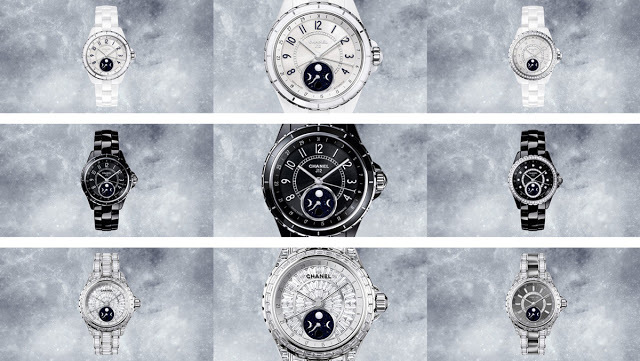 The J12 Moonphase adds a thin, but appealing, layer of complexity onto a bestselling and fashionable timepiece. 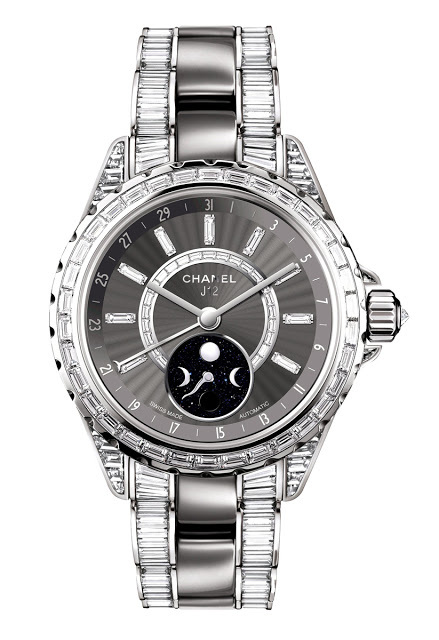 Displayed on a sparkling aventurine – a form of quartz crystal with metal inclusions which cause the sparkle – sub-dial at six o’clock, the moonphase is by a polished steel serpentine hand, instead of the typical aperture. 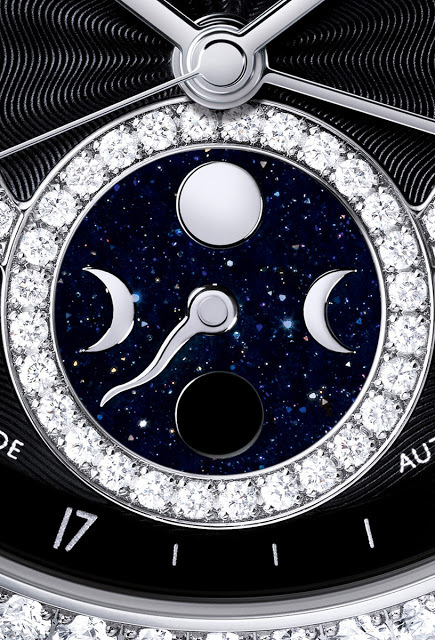 And the J12 Moonphase also has a date hand, indicating the date on the perimeter of the dial. The case diameter is 38 mm, and inside is an automatic, 42 hour power reserve ETA 2892 with a moon phase module by Dubois-Depraz. Available in both classic colours of the J12, white or black ceramic, the J12 Moonphase Classic is priced at S$12,280 (~US$9830). 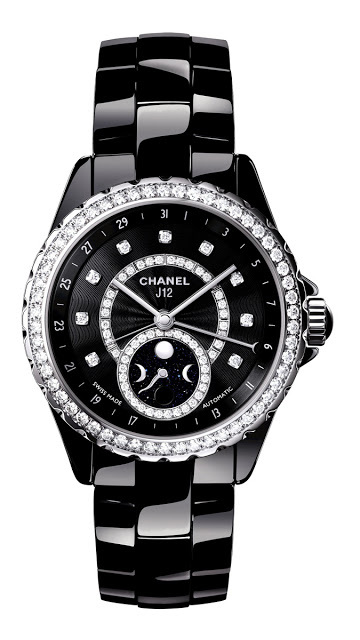 Also offered in black or white, the diamond set version retails for S$32,000 (~US$25,600). And two high jewellery versions are available as well. 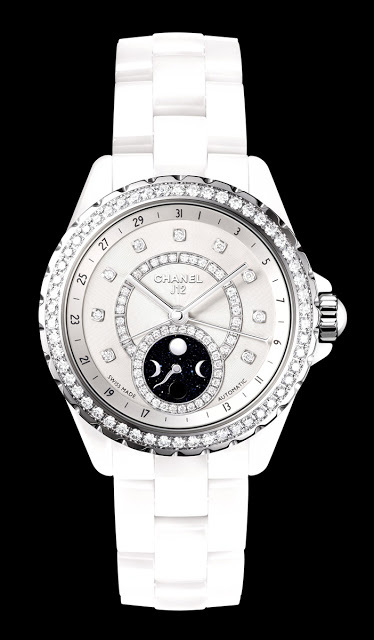 The first is in white gold and titanium ceramic, set with 554 baguette diamonds. The retail price is S$835,200 (~US$669,000). 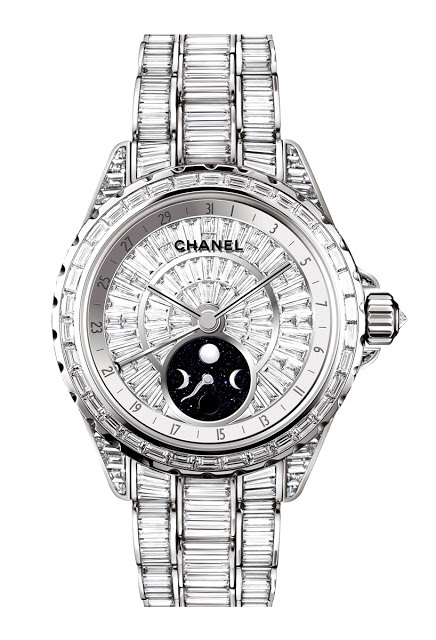 The top of the line model is entirely in white gold, and set with 669 baguette diamonds. This retails for S$1,286,700 (~US$1.03 million).